A positive economic outlook in 2018 was reflected by the U.S. health club industry, suggests new data collected by IHRSA, with an uptick in consumer interest, memberships, new facilities, and revenue. Consumers flocked to health clubs and gyms last year, with over 6 billion individual visits to nearly 40,000 fitness facility. This resulted in a revenue increase to $32.3 billion, up from $30 billion in 2017, a 7.8% growth. 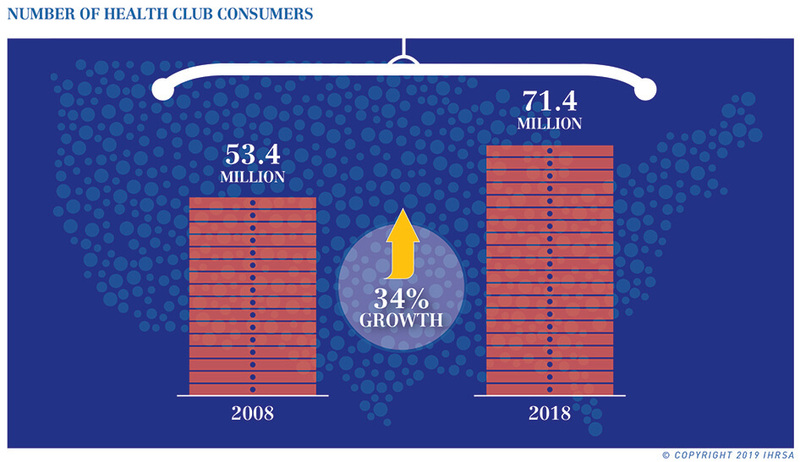 More than 71 million consumers utilized U.S. health clubs in 2018, a record high since IHRSA began tracking health club utilization in 1987. The number of individual members totaled 62.4 million, up 2.6% from 60.9 million in 2017. Based on a study of 20,069 online interviews conducted by IHRSA as part of the Physical Activity Council (PAC), about 1 out of 5 Americans (20.8%) belong to at least one U.S. health club or studio. 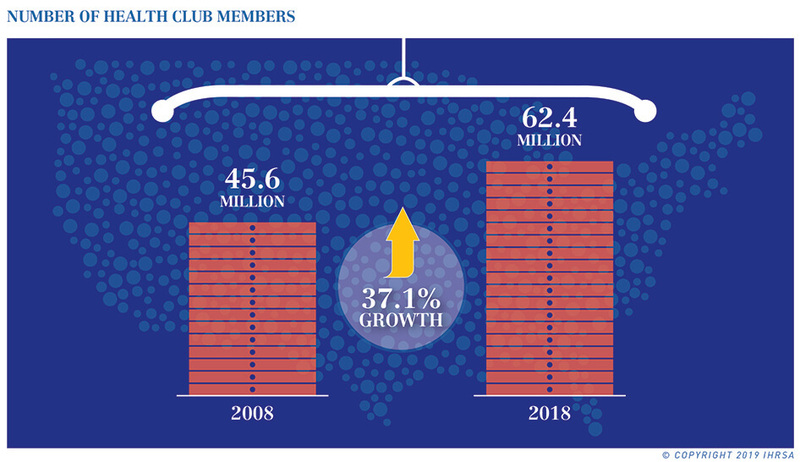 Since 2008, membership has grown by 37.1%, while the total number of club-goers has increased by 34%. These results will be featured in two upcoming reports, the 2019 IHRSA Global Report that will provide an overview of the worldwide health club industry and the 2019 IHRSA Health Club Consumer Report, which will provide analysis of health club consumer growth, demographics, utilization, and trends as well as insights and applications for club operators.